A U.S. judge on Tuesday scolded Apple for not handing over important documents pertaining to an ongoing privacy suit, inviting plaintiffs to level sanctions against the Cupertino tech giant for what was called "unacceptable conduct." An in-court report from Bloomberg noted that U.S. Magistrate Judge Paul S. Grewal said document production, including emails and employee papers, from Apple had "more than doubled" since he began oversight of the case earlier in March. 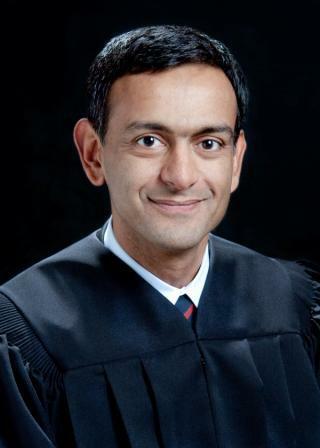 U.S. Magistrate Judge Paul S. Grewal. In the case, Apple is accused of collecting, and disseminating with third-parties, location data from unknowing iPhone users, with tracking allegedly taking place even when device owners specifically disabled the handset's geo-location features. Apple counsel had been reprimanded over its lack of discovery compliance before, and on March 6, Judge Grewal ordered the company to come up with a detailed overview of how the documents were collected. Specifically, the judge required Apple to divulge search terms, dates of searches, individuals subject to searches and the number of documents these searches produced. After reviewing the results, Judge Grewal told Apple lawyer Ashlie Beringer that it doesnt sound like you did a lick of work to double-check the efficacy of employees' document production. In response, Beringer said the Cupertino company had made Herculean efforts over the last two weeks to resolve the issue, adding that document production was now complete. According to the publication, Apple had turned over more than 2,000 documents since the jurist's order. Most recently, U.S. District Court Judge Lucy Koh ruled against an Apple motion to dismiss the case, saying she was unsettled by the company's attempt to have the suit thrown out based on documents it had not yet provided to plaintiffs' counsel.